Global WAN powerhouse BT is out to turn its sprawling network into dynamic beast that can accommodate today’s rapidly evolving needs. Network World Editor in Chief John Dix talked about the plans with Keith Langridge, Vice President of Network Services at BT Global Services, and Sunil Khandekar, Founder and CEO of Nuage Networks from Nokia, a critical new supplier that will enable some of the change. What’s driving BT’s interest in dynamic networks? 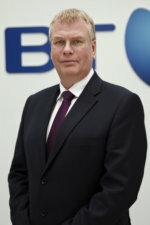 LANGRIDGE: BT is one of the leading providers of global wide area network solutions to global organizations. We’ve got about 80,000 endpoints around the globe for customers like Unilever, Procter Gamble, financial institutions, etc. Customers have traditionally been using MPLS, but with the move to cloud they want to break out from MPLS either locally or centrally to be able to access Microsoft Azure, Office 365, Salesforce and other services. We have product offerings for MPLS, for direct Internet access (dedicated access to a provider’s core backbone), for broadband Internet access (the business version of consumer broadband), and new technologies such as SD-WAN to make it easier for customers to exploit hybrid networks. And we’re looking to overlay this capability onto the traditional network services to help customers deal with increased traffic and increased traffic going directly to the cloud. When it comes to SD-WANs, some enterprises in the U.S. deploy the technology themselves, but you do that as a service? LANGRIDGE: The majority of our customers actually take a managed solution from us. I’ve heard people say that for the U.S. domestic market about 60% of customers will manage their own routers and run their own WAN, and 40% will take a managed solution from a service provider. For our large multinationals, about 90% take a managed solution. We operate in 198 countries around the world. One of the key reasons we partnered with Nokia Nuage [for SD-WAN] was we can interlink it with existing services, so someone who takes a Nokia Nuage based SD-WAN service from BT will be able to link into their existing BT MPLS services. They can map traffic into their six classes of service, they can route traffic out through our cloud gateways to Microsoft Azure or Salesforce or Oracle, or use an Internet gateway to break out traffic in different parts of the world. Does your approach still involve customer premise equipment? LANGRIDGE: To start off this is going to be a physical box, an appliance that’s produced by Nokia that we install on site, manage, etc. But as we go forward that will be a virtual client that can sit on a virtualized device. We’re also going to have the capability to build and terminate SD-WANs in what we call Cloud Service Nodes, which is where customers can break out of our network to Amazon Web Services locations, Equinix hubs, Microsoft Azure, etc. The service will be portal based so customers can go in and configure and change their configurations and should simplify network management both for us and for the customers. Sunil, would you add anything to what Keith has spelled out there? 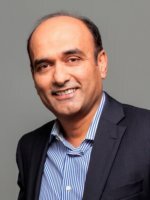 KHANDEKAR: Customers have been struggling on their own to break out access to SaaS services and they would rather have a platform that allows them to dial up these services in a simple, secure and agile way. Also, I would say this shift to Software Defined Network automation is about adjusting to the new cloud architectures, while not forgetting existing capabilities that are very well understood. Customers are quite happy with those MPLS VPN services. It’s about how we enable them to move forward in a manner that lowers the risk. That’s where our partnership shines. Does the need for MPLS eventually diminish? LANGRIDGE: As we look out five-ten years we can still see a need for MPLS, particularly for the larger global customers we are addressing. I think the first thing that will move towards Internet-based VPNs will be branch networks, primarily domestic branch networks in western countries with good domestic Internet services that are cost effective and reliable. The bulk of what we provide globally isn’t connecting branch locations; it’s connecting an organization’s offices, their manufacturing locations, their partner locations, their data centers, their trading hubs, etc. They’re still going to need a secure communications service with controllable performance for that, but we expect to see a lot of the growth in bandwidth taken up on the Internet. The customer networks we’re deploying now are hybrid in some form, with customers defining perhaps a Tier 1, 2 and 3. So the top locations that need good quality will be on MPLS, Tier 2 locations can be MPLS but with some form of dedicated Internet access or dual Internet, including business grade Direct Internet Acesss, and then Tier 3 locations will use broadband-based Internet access. One of the key reasons for choosing Nokia as a partner is we need a solution that works for our customers across all of those Tiers, not just one we can throw into the lower end of these Tiers. It was important for us to come up with a solution that would integrate with our MPLS networks so customers could have one SD-WAN solution that covers all of their tiered needs. Were you already doing business with Nokia Nuage? LANGRIDGE: We have been doing business with Nokia for years. We had been doing business with Alcatel for many years, and so it was an easy for us to take the next step and say, “Let’s look at the new technologies that are coming from the Alcatel-Nokia stable, and Nuage in particular, and see whether this is something we can use. But this relationship with Nuage is new for us in this particular space. Have the Nuage products been tightly enough integrated into the Nokia offerings at this point, or is there more work for them to do? LANGRIDGE: I think there is good integration at the moment. We use quite a lot of Nokia equipment -- the ex-Alcatel equipment -- within our core network, so the key thing will be to see what we can do there. One of the attractions with Nuage is the leadership they have in SDN solutions within the data center, and the ability to then link data center SDN solutions out to SD-WAN solutions. It’s a bit different controlling traffic across the globe from controlling traffic within the four walls of a building. The interesting thing is how we can exploit those linkages, and that is one of the key things Nuage will be able to bring to us. Let’s shift to network function virtualization. What is your NFV strategy? LANGRIDGE: We are calling our network transformation Dynamic Network Services, which has five key elements, and I can highlight where NFV fits in. The first key element is around SDN-controlled VPNs. We have a Cisco-based offering that was announced some time ago [January 2016] called Connect Intelligence IWAN. A number of the features that make up an SD-WAN experience can be deployed as software on top of existing Cisco routers customers have at their premises. In a way, NFV started for us there. The second element is the SDN solution we’re working on with Nokia Nuage. It will target companies who aren’t confirmed Cisco houses, who are perhaps looking for a lower cost solution that is very flexible, and can link to our cloud service nodes. We already have 15 locations around the world, and we are creating virtual compute environments for customers. To give you an idea of what we do already, we have linked our MPLS service to Amazon Web Services, Microsoft Azure, Salesforce, HP Enterprise, Oracle, and a number of Equinix locations, and customers can break traffic out from their MPLS VPN to those locations. We can also deliver virtual services, such as virtual firewalls and Riverbed virtual WAN acceleration at those locations, and we’re looking to grow the number of locations of these Cloud Service Nodes from 15 to 50 over the coming year. That’s the second element of virtualization. The third element of Dynamic Network Services is services on demand, which means two things for us. First, the ability to flex bandwidth on MPLS; customers can go to a portal and turn bandwidth up or down for particular locations at busy times of the week or busy months of the year. And they can enable virtual services on demand. I mentioned Riverbed, but we also provide services from Infovista, from Dynatrace and others, and customers can take those virtual deployments either onto equipment on their premises or equipment in our cloud service nodes. The fourth element of our Dynamic Network Services investment is about virtual CPE –environments that can host virtual network functions at the customer premise, as opposed to at Cloud Service Nodes. A lot of what we deliver today, whether it’s a firewall for our managed firewall service, or a Riverbed acceleration device or an Infovista optimization device, involves shipping hardware. It takes time to get the hardware out there and it takes time to bring up the service and get it working globally. Being able to shift that to a software provision onto a common customer premise device is going to be really important for us. The key thing is working out where the market will go for these flexible CPE devices. Cisco is looking to enable its routers to be that platform by adding an x86 blade. But we’re looking at what devices we can put in the customer’s premise to be able to host a range of different types of software, from a range of vendors. Those are the key elements we’re looking at, and of course Nuage fits very nicely into all of those. First, there is a piece of equipment that will go in some customer’s premises that will be able to take on extra capabilities. Then we will have the Nuage virtual client that will be able to exist in our service nodes on the customer’s premise. So it is a fundamental shift, but I don’t know if it’s going to dramatically change the cost the customers are paying. What we are finding is the software version of something like a Cisco router is very close to the cost of a hardware router appliance. But it is definitely going to change the way customers consume network functions and the speed in which those functions can be rolled out. Have you had to add a boatload of SDN tech to the BT network to make the new services feasible? KHANDEKAR: If I can chime in here, John. Nuage’s vision from the beginning was having network automation not only in the data center but also in the wide area. Why? Because it’s about connecting users anywhere to applications in either private or public clouds and you can’t have one without the other. LANGRIDGE: Yes. If we’re using SDN, it’s quite hard to define where the boundary line is. Part of what we’re doing is using new standards like YANG and NETCONF, etc., to separate out a control plane from the physical network to make the control of routing, setting up VPNs and controlling VPNs for the customer, not something that’s, shall we say, a feature of the particular technology, but something we can spread across different network technologies to provide a more flexible and software-controlled solution. Once we can do that then we can provide portal based access for the customer to do his own reconfiguration. We can provide inventory systems that are based upon real configurations of what’s actually in the network. You get a real-time view of the network. A much more dynamic network can be controlled. For us, it’s about our cloud-of-clouds vision. Besides connecting customer locations to customer data centers, we want to be able to provide our own virtual hosting capabilities in our 22 data centers around the world, we want to link customers to the main providers of data center space (companies like Equinix), to companies offering virtualized hosting, like Azure and AWS, and to Software-as-a-Service providers. And we want to enable our customers to break in and break out of the Internet wherever they want with secure edge capabilities such as firewalling and value-added services such as acceleration. For us it’s about linking this together to enable our customers to have as much flexibility as possible. LANGRIDGE: It will take us a couple of years. We’re doing it step by step, so it will be the early part of 2017 that we’ll launch our service with Nokia Nuage, which is going to be called Agile Connect. That service will evolve and enhance as our own capabilities and the Nokia capabilities evolve and enhance over the coming year. By the end of the first quarter of 2017 we’re looking to launch our flexible bandwidth offering and our MPLS services. Things are coming along piece by piece. By the end of the first quarter we’ll have our first UCSE capability on Cisco routers, an x86 capability, that we can roll out through the existing Cisco router estate. Basically our roadmap carries on for about the next 18 months as we roll out more of the cloud service nodes and we roll out the OSS that gives us this overlay. A lot of the links to cloud services we can do today through MPLS. On our MPLS network you can already switch traffic from your data center to a virtual data center that you’ve taken from us, or a virtual capability or a cage you’ve taken from any Equinix location around the world. Okay. Anything I didn’t think to ask you folks that is important to discuss? LANGRIDGE: No. I don’t think so. We’ve been through the roadmap and the vision for the network services. And hopefully we made it clear why we’re linking with Nokia Nuage. It’s very much a leading technology in this space and the key thing for us is the ability to be able to link into our systems and provide a hybrid solution for the customer, not just an alternative Internet-only solution for a small number of branch networks. KHANDEKAR: Likewise, we are extremely excited to be partnered and having been selected for this important transformation of BT services. BT is, of course, a leading provider, so this is not a small customer trial announcement. This is the real deal and we’re really excited about working with BT.